This area should address the most common queries you may have about GlamSmile Porcelain Veneers. 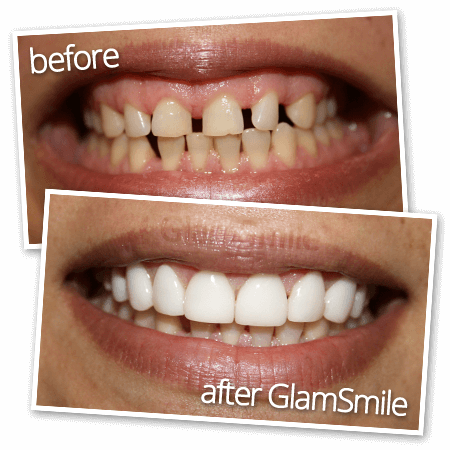 If you would like further information on the GlamSmile treatment, please contact a GlamSmile certified dentist. 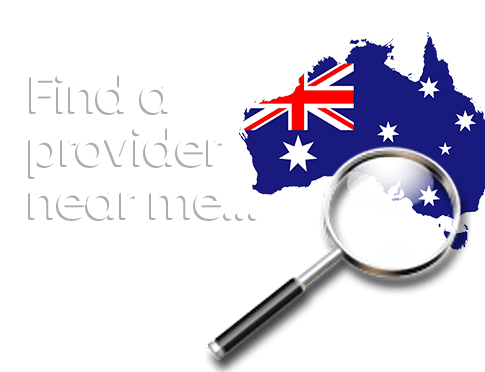 Use our online GlamSmile Cosmetic Dentist Finder or call 1300‑452‑676 to speak with your nearest provider. 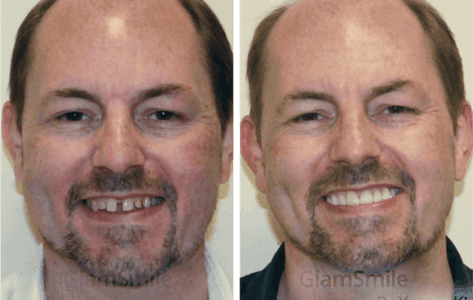 Is the GlamSmile procedure painful? Will I need shots of anesthetic? No, unlike traditional veneers (which would be very painful without shots), GlamSmile requires no anesthesia because there’s no grinding down of tooth structure in most cases. How many dental visits are necessary to complete the GlamSmile veneer process? Only two short dental visits are required. The first is for a consultation, taking your “before” photographs and impressions of your teeth. At the second visit, your GlamSmile veneers are placed. Each visit takes approximately 1 hour. After my first appointment, how long do I have to wait before I come back for my final appointment to have my GlamSmile veneers put on? Should I get my teeth cleaned before my second appointment? If your teeth have not been cleaned within six months you should have a professional cleaning. If you plan ahead, you may be able to schedule both your impressions and a cleaning in one visit. With GlamSmile veneers can I use my favorite toothpaste? Will I still be able to floss my teeth? Yes, you will simply brush and floss your GlamSmile veneers just as you would your natural teeth. Proper dental hygiene is essential to maintaining your beautiful GlamSmile. As with natural teeth, you should always try to use low abrasion toothpaste to effectively but gently remove stains, plaque and tartar. Can I eat foods like nuts, corn on the cob and apples with GlamSmile veneers? Yes! 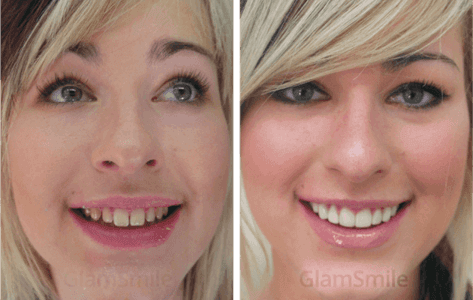 Remember, GlamSmile veneers look, feel and operate just like natural teeth. You can eat your favorite foods without fear of damaging your GlamSmile veneers. I would like to close the gap between my front teeth, can GlamSmile veneers work for me? Yes, a “gap” is called a diastema, and can be successfully and permanently closed with GlamSmile veneers, as long as the gap is not too wide. I have tried many whitening treatments but they never last long and I’m still unhappy with my tooth color, can GlamSmile veneers be used for permanent tooth whitening? 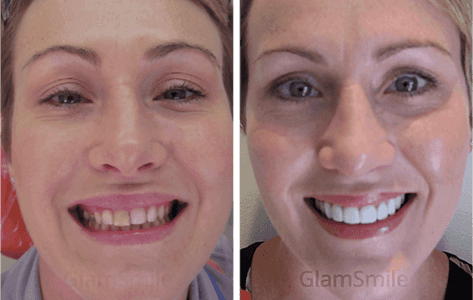 GlamSmile veneers will whiten severely stained (even tetracycline) and discolored teeth once and for all. 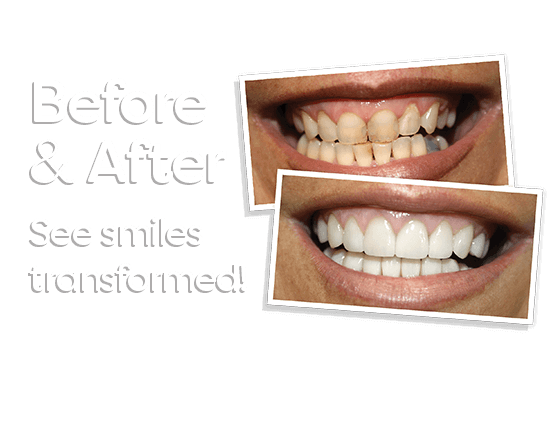 GlamSmile veneers offer a truly affordable whitening solution! My teeth are misaligned, some even overlap. Am I a GlamSmile candidate? GlamSmile veneers can definitely change the shape, size and alignment of your teeth making them look straighter and more symmetrical. Since every veneer case is unique, your GlamSmile dentist will assess your smile and provide you with treatment options specific to your individual needs. I think I need braces but I don’t want to go through the long, inconvenient and unattractive process. Can I get GlamSmile veneers instead? In most cases, yes! Your GlamSmile certified dentist will be able to evaluate your teeth and make the final analysis as to whether orthodontics is necessary. 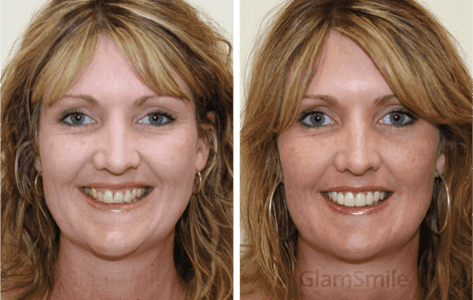 In cases where the misalignment is moderate, GlamSmile veneers will change the alignment and the shape of the teeth making them appear straighter and more uniform. 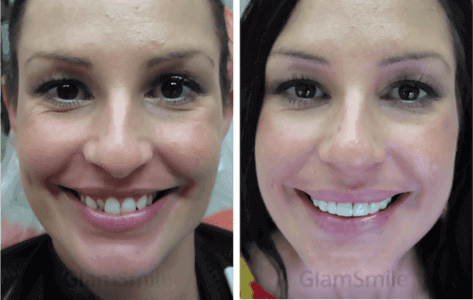 What are GlamSmile veneers made of? And how long are they expected to last? GlamSmile veneers are made of time-tested, high-quality pure porcelain, the same materials that have been successfully used to make traditional veneers. 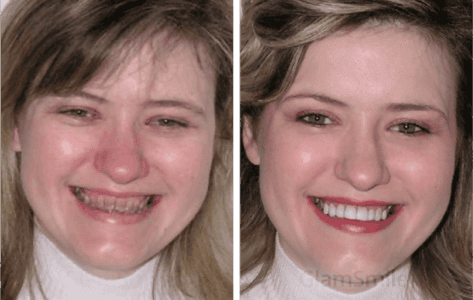 Many people who got veneers 20 years ago are still enjoying them today with no problems. If for some reason, I wanted to remove the GlamSmile veneers, is that possible? Normally any cosmetic dental restoration is designed to be long-term. If for some reason you required the removal of the veneers, it is possible. So long as your teeth have required only minimal underlying tooth preparation (ie surface roughening), the veneers can be removed and your teeth will appear more or less the same as before. 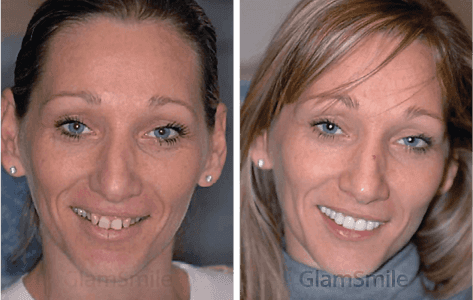 Because in many cases GlamSmile veneers do not require the reduction of healthy, sensitive tooth structure, usually underneath your GlamSmile veneers, your natural teeth are still healthy, strong and intact.